On the whole, all systems for narrow linewidths use a vibration isolation stage, and the thermal noise floor of the cavity can be reached with any geometry (including cylindrical). If the value of that noise floor is important, then a notched cavity, being longest, has the lowest thermal noise floor (assuming a good choice of mirrors for large beam spot size). Can be conveniently fiber coupled. SLS has standard designs for these cavities. Please contact us to discuss further. 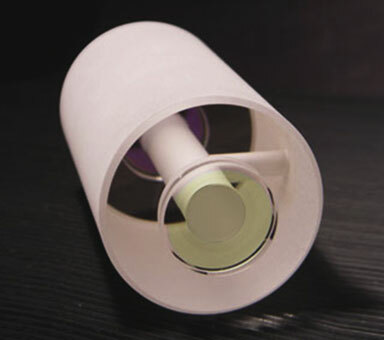 Cylindrical cavities feature a tried-and-true geometry for spectroscopy, offering locked laser linewidths at the 10 Hz level. They are the most common cavity design, but other cavity designs offer distinct advantages for some applications. Notched cavities offer reduced acceleration sensitivity as compared to a cylindrical design. Long spacer lengths, from 100 mm up to 300 mm, yield the lowest thermal noise floor and narrowest laser linewidths. We recommend a notched cavity geometry when Hz-level linewidths and low frequency drift are paramount. Spherical and cube cavities are the most compact cavity designs, while still delivering narrow linewidth performance. These rigidly-held spacers can be moved without need for realignment. The careful design and mounting of midplane cavities means low vibration sensitivity in the vertical dimension. These cavities can be relocated while preserving alignment. 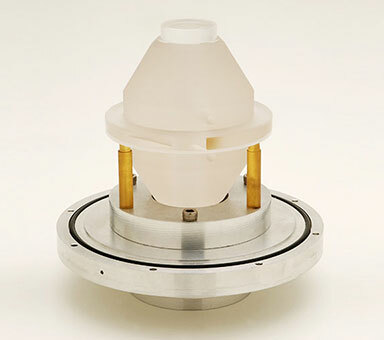 Spherical cavity vacuum housings are compact, and the vacuum housing arrangement allows for milliKelvin stability temperature control over a wide range of temperatures. The temperature control property can be important, as the ULE material for the spacer can have a zero expansion point at any temperature between 2°C and 40°C, so it is possible to operate at that zero expansion point (which is typically a few degrees Celsius cooler than the spacer zero crossing for fused silica mirrors with ULE rings). 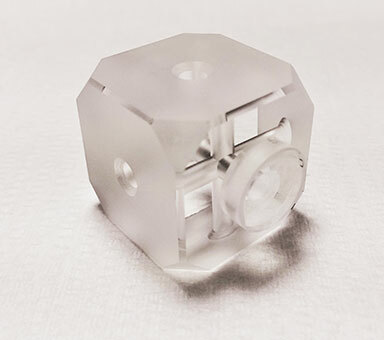 Notched cavity vacuum housings operate between 14°C and 40°C, so the few ULE spacers which have zero crossing temperatures less than 14°C need extra cooling power (chilled water through the heatsinks) to reach their optimal operating temperature. Using fused silica (FS) substrates leads to a thermal noise floor ~2x lower than for ULE (ultra-low expansion glass). For almost all applications, ULE is the best choice as it makes for a cavity with the lowest daily drift. 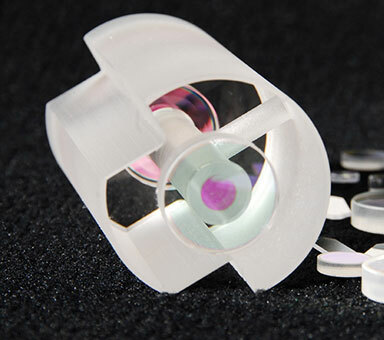 Fused silica mirrors are provided with ULE backing rings to reduce the thermal expansion coefficient.